Sony to introduce full-frame NEX? Is a large sensor compact system camera on its way? Is Sony on the verge of unveiling a full-frame NEX as well as a full-frame SLT? Rumours that the next NEX mirrorless camera from Sony will include a full-frame sensor are circulating. But could it be true? Sony first introduced its NEX range of compact system cameras back in 2010. Since then the series has enjoyed moderate success, but has never been able to depose Panasonic from the top of the CSC tree. Even in the "premium" sector of the market, in which Sony has the NEX-7, other cameras such as the Olympus OM-D and Fujifilm X Pro-1 seem more popular with both the public and critics. However, the latest rumour circulating the internet is that Sony is set to introduce a full-frame (35mm) sensor NEX camera. At the moment, its range of CSCs house APS-C size sensors, the same size as those currently found in its DSLT (translucent mirror) cameras. It's long been rumoured that Sony would be announcing the Alpha a99 DSLT this year, the world's first full-frame translucent mirror camera. To date however, no such device has appeared. 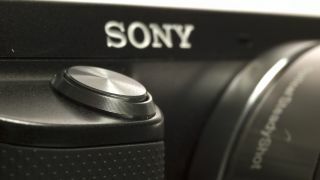 As it stands, there are no cameras in Sony's current range with full-frame sensors, with the a900 DSLR being the last model to use such a device. There's little known about the supposed NEX full-frame camera, however Sony Alpha Rumors is listing it as a "SR5" rumour, which it says means it's "almost certainly correct." With Photokina now less than a month away, it's not surprising to see the rumour mill going into overdrive, and it'll be very interesting to see if any of this turns out to be true. Perhaps Sony will reveal both the full-frame DSLT and mirrorless option at the same time, just as it did with the Sony a77 and Sony NEX-7, which both use the same (APS-C) sensor and were revealed in tandem last July.